the “duck method.” Calm on the surface, but underneath, I’m working like crazy to support your goals and handle the process. Christina leads a set of accounts within the agency to deliver quality work that meets the client’s needs and addresses their business objectives. She is driven by her passion for adding value and making herself an invaluable partner to our client teams. 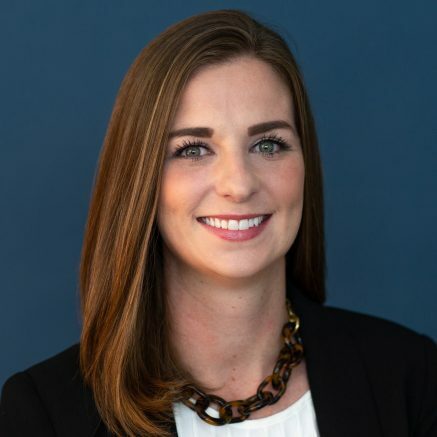 With over a dozen years of experience in both traditional and experiential marketing, Christina has worked with some of the world’s most influential brands, including Ford, Hilton and Boeing, to help them engage in impactful and meaningful ways with their communities. Christina’s work has been awarded by both Hermes Creative Awards and the Association of Media and Publishing, but her most significant achievement was launching the brand Tru, by Hilton. Tru currently holds the fastest growing pipeline in the history of the hospitality industry with new locations popping up every day.